New Delhi: Unable to intercept data on platforms like BlackBerry, Gmail, Nokia Pushmail and Skype, telecom minister Kapil Sibal met Interpol secretary general Ronald K Noble recently to discuss intercept mechanism of such communications which would help in combating telecom crimes. 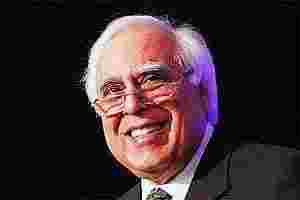 This was one of the agenda items at a recent meeting between Sibal and Noble who discussed the potential partnership with India in combating telecom crimes in India and other issues of mutual interest. Indian security agencies are not able to intercept the encrypted communication from the services like BlackBerry, Gmail, Nokia Pushmail and Skype in readable format and they want that they should be able to intercept and monitor all types of encrypted communication in readable format, they said. “We may seek the experience of US agencies in this respect - both technical and regulatory -and how do they intercept such messages in readable format," according to an internal communication of the DoT. In many cases CLI is not transmitted by the service providers from other countries, because sending CLI is not mandatory in those countries. CLI, however, is useful information for the security agencies in busting of crimes. “We may explore the cooperation of the US in making it an international practice or regulation that CLI, unless exempted by Government in a particular case, should not be suppressed and tempered," the communication added. Further, the note added that content originated from a country should be subjected to laws of that country. “The solution provider companies must adhere to the laws of the country from where the content has originated," it said.